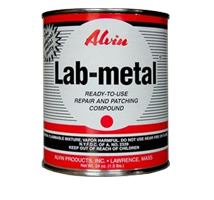 Please take a look at the full line of quality Bessey Metalworking Chemicals below. Bessey HT-14 Hi-Temp Lab Metal, 14 oz. Bessey 1620-16 Solvent Based Spatter Release, 16 oz. Bessey HT-24 Hi-Temp Lab Metal, 24oz. Bessey LM-24 Lab-Metal, 24 oz. Bessey LM-48 Lab-Metal, 48 oz.